Rosemary Clooney was an American cabaret singer and actress. Clooney's was a jazz singer in late 1940s. She sung with others and solo to create recordings for Columbia Records. Her first hit was “Come On-a My House,” although Clooney is known to have hated the song before even recording it. Rosemary Clooney had a rough time in the 60's and early 70's, suffering from depression and drug problems. However, she made a comeback in the 1977 movie White Christmas with Bing Crosbey. Rosemary Clooney was related to a few important future stars. She mothered Miguel and Rafael Ferrer, and George Clooney was her nephew. Rosemary Clooney mural on the Maysville, Kentucky floodwall. Rosemary Clooney was a famous American singer and actress, who was born on May 23, 1928. As a person born on this date, Rosemary Clooney is listed in our database as the 6th most popular celebrity for the day (May 23) and the 34th most popular for the year (1928). People born on May 23 fall under the Zodiac sign of Gemini, the Twins. Rosemary Clooney is the 497th most popular Gemini. 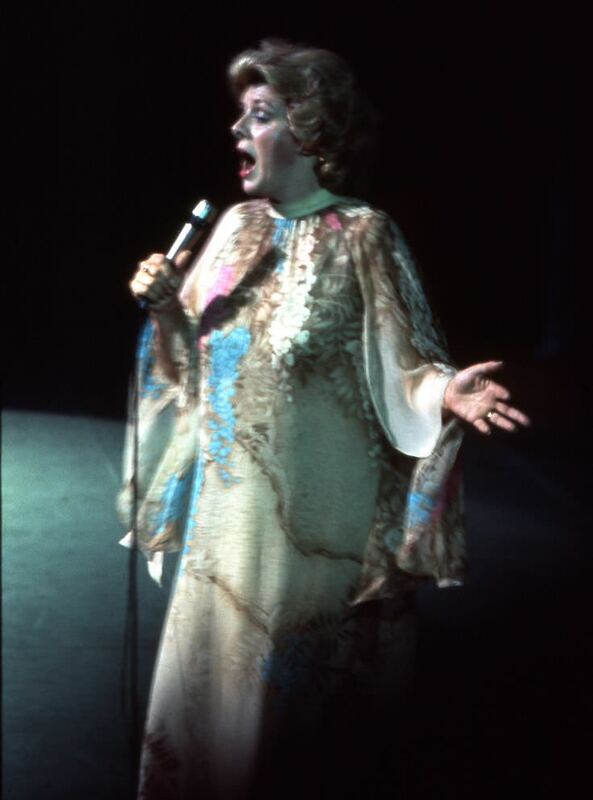 Aside from information specific to Rosemary Clooney's birthday, Rosemary Clooney is the 3277th most famous American. In general, Rosemary Clooney ranks as the 5964th most popular famous person, and the 637th most popular singer of all time. “The Famous Birthdays” catalogs over 25,000 famous people, everyone from actors to singers to scientists to serial killers and more. If you're curious to see who was born on your birthday, you can use our database to find out who, what, where, when and why. You can search by birthday, birthplace, claim to fame or any other information by typing in the search box, or simply browse our site by selecting the month, the day, the horoscope, or any other clickable option.